You’d never pick a new pair of shoes without taking your zodiac sign into account, right? (No? Just us?) So why on earth would you approach paint color—something that’s proven to have profound psychological effects—without the same set of cosmic considerations? In the hopes of helping you sleep and decorate like your truest self, here’s what color you should actually be painting your bedroom (according to your zodiac sign, because we couldn’t help ourself). You’re a salt-of-the-earth kinda gal, water bearer. 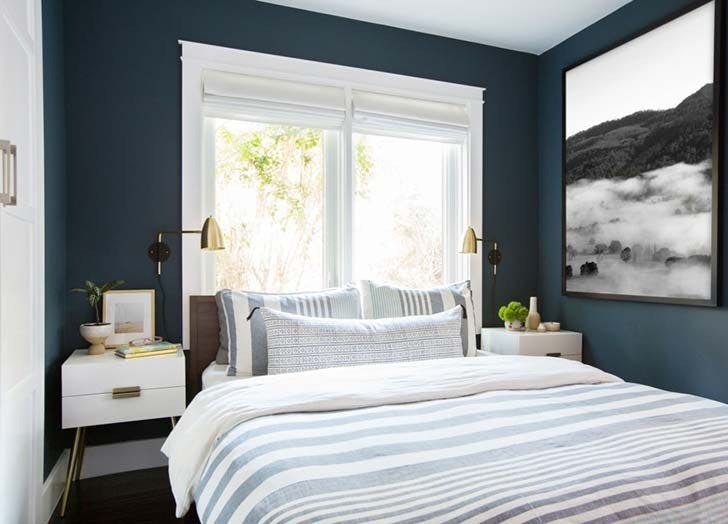 Equally connected to the sky (per your air sign nature) and the sea (per your mascot), peaceful sleep for your free-ramblin’ spirit will be best served by a serene, pale blue hue that nods to both elements. This one is a real no-brainer, ocean child: Blues speak to your fishie soul and make you feel instantly at peace. Look to deep blue hues with green undertones (aquas and teals, people)—as this naturally occurring color collision will both relax and spark your dreamy imagination. Yes, you’re a warrior, but as the first sign of the zodiac, you also represent new life and purity. A bright, paper-white paint job will provide the clean slate you innately crave—as well as a soothing place to charge those powerful batteries. As a grounded earth sign, you take reading/crossword time very seriously. And since you tend to feel most secure and comforted by a colorway that connects you to the earth, opt for a calming palette of naturally occurring greens. Light yellow tones in the buttercup spectrum will nurture your upbeat, positive outlook—and shut down your grumpy twin alter ego when she rears her testy head. 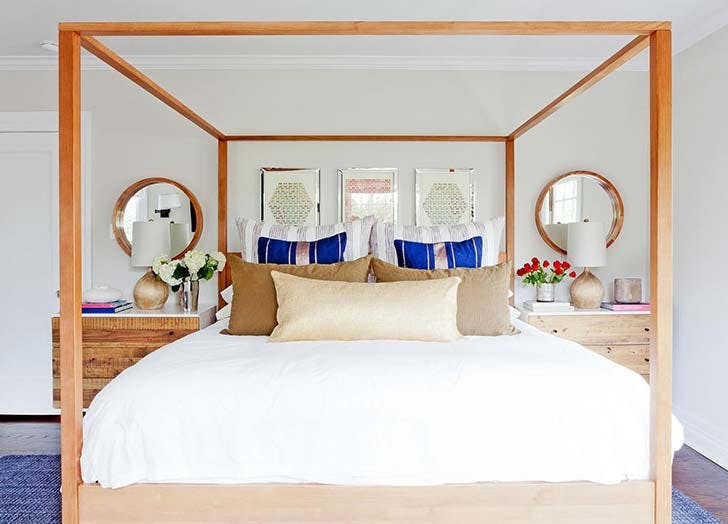 For the zodiac’s queen of hibernation,serenity in the bedroom is literally key to your mental well-being. 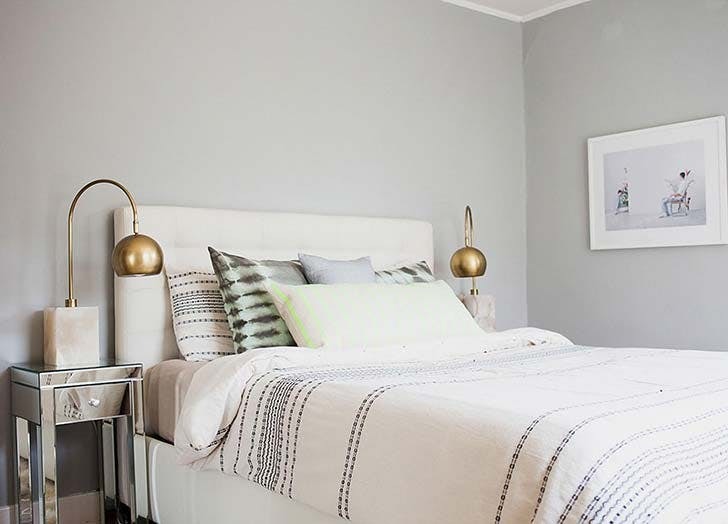 Opt for a pale gray wall color to mimic your reflective nature—and make your shell a place of ultimate comfort and respite. Let’s call a spade a spade, Leo: You like to be must be the star of the show. Our suggestion? Rock a purple paint job, which is both bold enough to capture your attention and the unofficial color of royalty—making it an apt choice for the queen of jungle. Ever the practical aesthete, you crave a hue that stands up to wear and tear and stands the test of time, style-wise. Your color soul mate? Navy, of course. 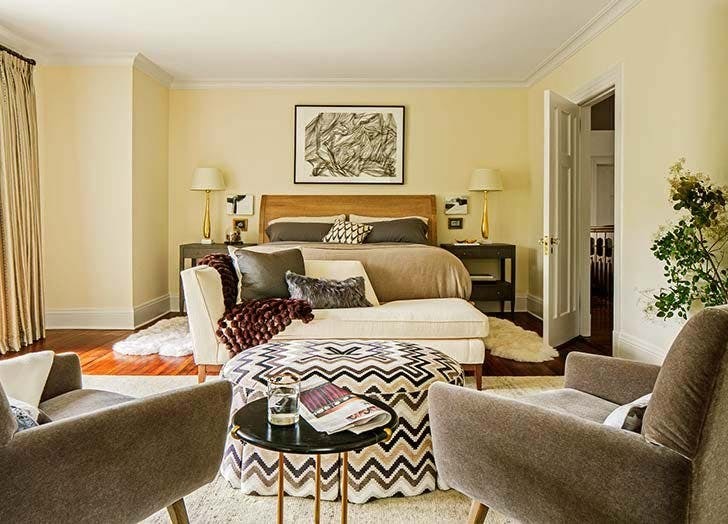 This timelessly sophisticated color will create a polished focal point that’s jussst edgy enough. Warmth and balance are your trademark traits, Libs—so naturally you’ll feel most at home in a colorway that suggests both. Look to soft, blushy pinksas a refreshing neutral that, like you, is oh-so-charming. Intense, passionate and prone to withdrawal, Scorpios think of their bedrooms as a retreat from the world. Serve up some moody vibes—and yes, major cool-girl factor, with a timeless black theme. Like your namesake goat, you’re always climbing toward the top of the mountain. Your goal in the bedroom? Rest, and plenty of it. Cool creams and sophisticated taupes will both appease your conservative nature and set your soul at ease.